@FarmerJayhawk I know that is a good sign…but are those guys usually accurate? Stealing recruits from MSU is always a plus. Even if Dotson and Grimes stay it would be nice to add another guard. Looks like Edwards is going to end up at UGA and not Florida St. The next KU basketball class is ridiculous. KU’s only top 100 guy left and Self hasn’t signed one since. Is everyone in the top 100 drinking the Kool-Aid? My take on this is that they are all on the take or someone would have committed already. I get it no one wants to come to KU and get the De Sousa treatment from the NCAA! 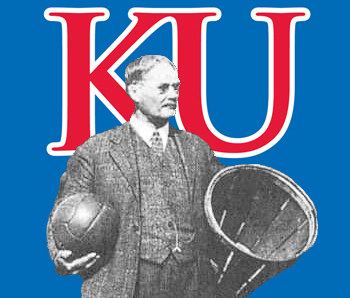 Adidas, and its affiliates have ruined KU’s next class and possibly our streak of conference titles! Crazy up$set there. I think the biggest two recruits left in this class are Hurt (duh) and Doke. Maybe Grimes, though I haven’t heard much about his intentions. @FarmerJayhawk I am assuming you are talking about IF Miller gets canned? Or is he possibly going to open his recruitment back up regardless? WOW at the Edwards news. I won’t be shocked if Miller goes down. On Miller, I’ve heard it’s a matter of when. Powers that be in the state are extremely angry that he’s had 3 assistants fired for NCAA rulebreaking and criminal behavior. @FarmerJayhawk It probably doesn’t help Miller that UA is sitting in the 9th spot in the Pac-12 with a 5 - 5 conference record and currently have a 4-game losing streak going. Has Doke played too much for this season to be considered a redshirt? Nope. He appeared in 9 games out of 31 scheduled which is under the 30% threshold at 29%. That said, I don’t think this will happen. It would be a huge win to get Doke for next year. 20-21 is fantasy. He’ll graduate sometime next year so at that point he’ll be wanting money, not a masters. Right. He does have an incredible class coming in, but at some point you can’t outrun the law, whether that be the kangaroo court of the NCAA or the SDNY. Still can’t believe Edwards to Georgia was real. Still can’t believe anyone would want to play for Tom Crean. Who else was still in play? Oregon? Can’t blame him with how well Coby White has thrived under Roy this year. I honestly had stopped paying attention. Change my mind but I think Cameron Thomas, his teammate at Oak Hill is as good or better then Anthony and he’s only a Jr. I’ve always admired Cole’s game but man that Cam kid is something else. Seems to me that Hurt wants to see who stays and leaves before he commits. Hurt is absolutely a game changing recruit. With the right returners he would make KU a top contender. I’m just hoping that Self letting him bomb away from 3 on the U18 team was enough to convince him to come. I wonder if Q and him ever really talked during that. I’m sure he is being told he’d get the keys like Dedric. @BShark One could say he could really deal out “Hurt” on opponents. Yes. I feel as good about Hurt as I have in quite awhile. I think he’s done with visits and will announce for KU around the end of April. It was the best that we have seen Tristan Enaruna play to date as he looked like a legitimate NBA Draft target while competing against some of the most touted international prospects. Enaruna sports a great frame that he should fill out and while he has been knocked for his toughness in the past, he did show the capacity to play through contact and take the bump before finishing at the basket. Eraruna remains at his best as an ambidextrous playmaker in the frontcourt that can throw precise passes on the go and also convert on nifty off-handed runners in the lane. What put things over the top was his consistent perimeter jumper that we had never seen before. He was one of the biggest stock boosters in Charlotte. The Netherlands native is currently hearing the most from Creighton, Kansas, Miami, Texas and Texas Tech. So is he more of a 4 than a 3 at the next level? Wherever he does end up, one should expect a playmaking forward that is ambidextrous to a certain extent, can play either forward position and should make for a positive impact on a high-major playing floor from the get-go. Self is out seeing Enaruna tonight. Kid has moved into the top 50 on 24/7 sports. 247 now lists him as 6’9. Did he get measured recently to gain those 2’? Yeah I was thinking KU could close on him but if Duke and UK offer all bets are off. Always been a fan of his after checking him out. Haven’t seen him in person obviously since he is in Utah currently.